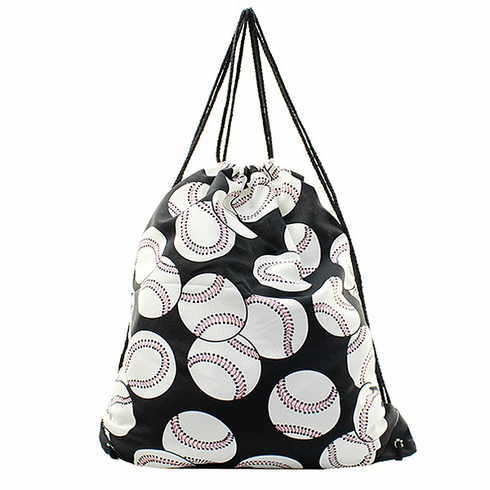 Baseballs on Black Drawstring Backpack. Measures appx. 18" x 15.5".